We have become a leader in Incident Command System vests and created the process for selling ICS vests on the Internet back in 1999. We have the widest selection of split-front style (meaning that open in the front) in America. Some leaders prefer a vest that is easy to slip on and close in the front. All of our split front vests for Incident Command are made in the USA in our Midwest facility and are built to last. One size fits all: Are standard vests are longer and wider than the industry standard and fit the widest size range. 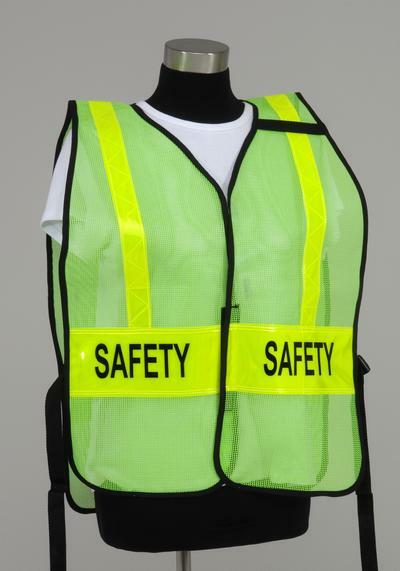 Tall or Short - Thin or Wide, you won't have to purchase multiple vests with the same title to fit different size workers. They will even fit over turn-out coats without the "Lobster-bib effect" you get on cheaper made products. Over 160 Standard Titles: We don't like to charge for lots of set up charges for very standard titles. If you do need a custom title made, we charge a very low $15 set up charge (not the industry standard $45) This charge is not a per vest charge - get one or get a 100 so you can get exactly what you want without blowing the budget. Microphone and ID Loop on the vests at no extra charge: Why pay up to $5 per vest with other companies? A charge for a mic loop doesn't help your budget. Convenient for clipping your Mic or staff ID badge to verify that the workers are who they say they are. Optional Pockets, Radio Holsters, Extra Panels etc. We understand that sometimes groups need custom items to make the ICS vest perfect and that's why we provide so many options to need your needs. For instance we offer two different size combination pencil / notepad pockets, an adjustable radio holster and options of additional reflective panels. Contact us with your questions and special requests. For more than three decades we have been involved with natural and man-made disasters and emergency management. We understand the language and the environment.